Purchasing real estate for investment purposes can be an excellent decision for individuals and businesses alike. Real estate tends to appreciate over the long-term, and both residential and commercial investment properties can generate significant rental income while building equity. Unfortunately in spite of the benefits, investment properties can also expose investors to significant legal liability as well. Whether your property is an apartment building or a retail lot, issues that commonly arise within a building all have the potential to cause serious injury or financial loss. Fortunately, forming an LLC can help limit real estate investors’ personal liability and protect them from potential financial disaster. 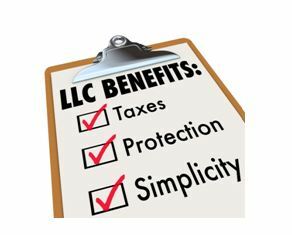 An LLC, or limited liability company, is a type of business formation that combines the liability protections of a corporation with the flexibility afforded by a partnership. They are particularly attractive to smaller companies and individual investors. LLCs can be owned by individuals or other businesses. It is highly advisable for anyone who is thinking of using an LLC to limit personal liability to retain an experienced attorney to assist with formation. In some cases, a creditor may be able to “pierce the veil” of the LLC and pursue the LLC owner directly for any debts incurred by the business. By ensuring that your LLC is created in compliance with the relevant law and has a clear and enforceable operating agreement, you can rest assured that you have done everything in your power to shield yourself from personal liability. Once an LLC is formed, real estate investors use their LLCs to purchase investment properties, thereby limiting their personal liability. For example, if an investor purchases a residential investment property and a tenant has an accident due to a poorly maintained stairwell, the investor could personally be held liable for any valid claims that exceeded the coverage of their insurance policies. In such a scenario, an investor’s personal assets, including their own personal real estate, could be pursued in order to satisfy a judgment. If the property were instead owned by the investor’s LLC, he or she would be personally shielded from personal liability. The personal liability protections of a limited liability company only apply if certain formalities are observed. As a result, anyone considering forming an LLC in order to engage in real estate investment should consult with an experienced business attorney at Structure Law Group. To schedule a consultation with one of the lawyers at Structure Law Group, call our office today at (408) 441-7500.